CNP Laboratory is a leading Korean pharmaceutical-grade cosmetic and skincare line that has won numerous industry and consumer awards in Korea for its efficacy. The brand was created by CNP Dermatology Clinic – Korea’s largest dermatology clinic network, and was launched in Singapore early this year, it is exclusively available in Guardian Health & Beauty. 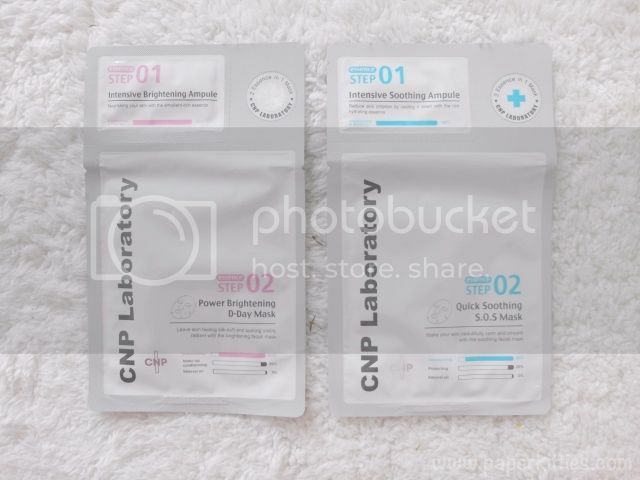 CNP Laboratory carries quite an extensive amount of products ranging from basic skin care to special skin care such as anti-pore, anti-blemish, masks, packs etc. There’s bound to be something for everyone 🙂 Today, I shall review some of CNP’s better known products to issue your skin problems at the convenience of your own home! A convenient and gentle peeling product that requires no washing after use, CNP Laboratory Invisible Peeling Booster is a simple, fuss-free and intelligent product that enhances absorption of your follow-on skincare. It contains cutting edge ingredients such as Polyhydroxy Acids (PHA), CNP Anti-Irritant Complex and Natural Moisturising Factor (NMF) Complex to implement gentle peeling to remove dead skin cells on a daily basis, soothe and reduce skin irritation, and maintain skin health and moisture respectively. The result? Crystal clear skin! I have been using CNP Laboratory Invisible Peeling Booster twice daily for at least a month now, and it had been nothing but amazing for my skin! To be honest, I start trying this product out the same time as my Ceramides Skin Supplement, so it wasn’t long before I noticed that my skin was looking more radiant and luminous than before. 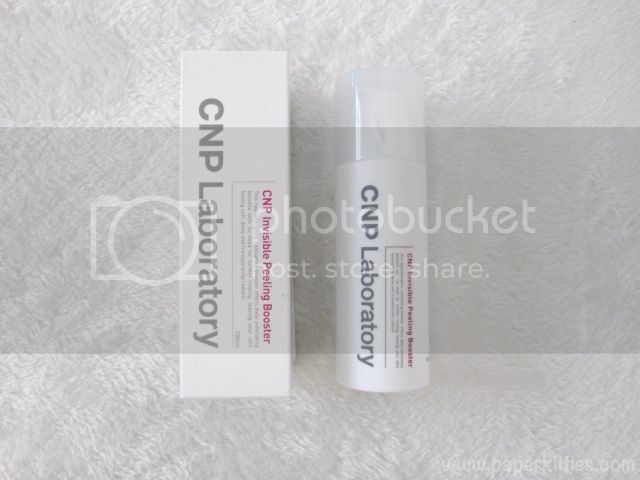 I’ve also noticed that prolonged usage of CNP Laboratory Invisible Peeling Booster had helped improve my acne problems in which I no longer have as much blemishes and whiteheads as before – they seemed to help in preventing them from popping out, though not much help once they are formed though. Sebum is also under control as my skin is increasingly hydrated and helps boost the efficacy of my skincare due to its watery texture that absorbs almost instantly into my skin. In short, I have nothing but praises for this product as it had done what it promised and my skin is looking much better than it had been for the entire year. 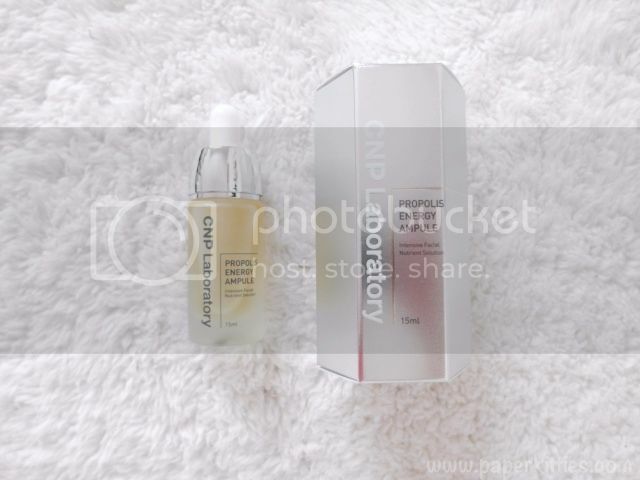 Containing concentrated Propolis extract, otherwise known as honey essence, CNP Laboratory Propolis Energy Ampule is known for its rich antioxidants and moisturising benefits to maintain firm and healthy glowing skin. Hyaluronic acid also heps to maintain firm, healthy and glowing skin. Although this product texture is surprisingly light for an ampule and absorbs just as quickly into my skin, it didn’t take long for me to fall in love with its honey + geranium scent. Another way of using it, is to mix 1 drop into your moisturiser and gently massage it into your face. However, I reckon it is still better recommended for ladies in their 40s more than teenagers and those in their 20s for its anti-aging and antioxidant effects. 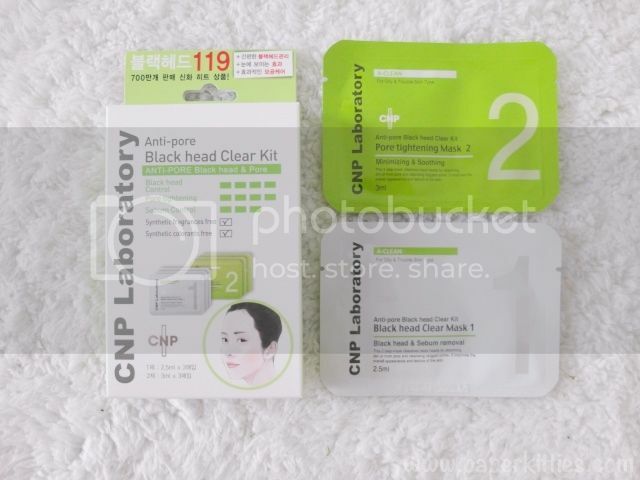 CNP Laboratory Anti-Pore Black Head Clear Kit is a 2-step mask that’s specially designed to remove blackheads and excess sebum to achieve blackhead-free skin without squeezing. Step 1 consists of the blackhead clear mask which gently dissolves blacheads and sebum, whereas step 2 is a pore tightening mask to minimize the appearance of pores. This product is very similar to Coreana Rodin Sho 3 Step Horse Oil Nose Pack in which I find Coreana much efficient in getting rid of those persistent black heads possibly due to their second step, which is the pore strip. Other than, CNP is still a good alternative to get rid of these pesky black heads without harming your skin = prevent inflammation, acne etc.! Next Post Luxola x Benefit Cosmetics: Operation Pore-Proof & Air Patrol!